Irene M. Mahoney, age 98, of West Lafayette passed away Monday November 26, 2018. Irene was born on March 18, 1920 in Burton City, Ohio o the late Albert and Edna (Sprunger) Hatt. Irene graduated from Canal Fulton High School in 1938. On May 6, 1944 she married Elmer J. Mahoney, who passed away January 18, 1980. She was retired from Surety Rubber after 30 years. 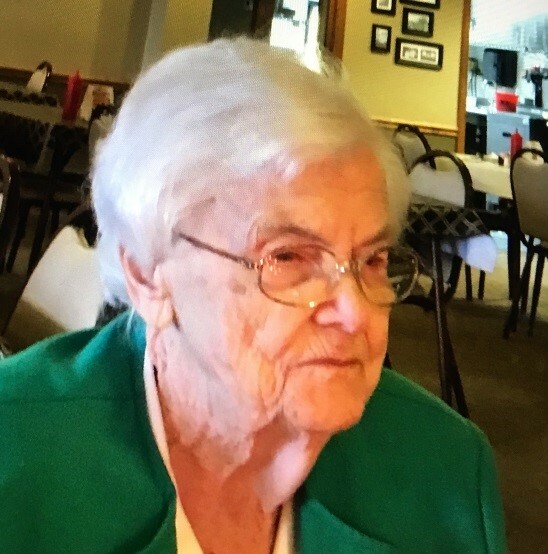 She was an active member of the Dellroy United Methodist Church, serving on various committees, and holding the office of President and Treasurer of the United Methodist Women. She enjoyed traveling, playing the organ, reading, using the computer, and spending time with her grandchildren and great grandchildren. She is survived by daughters Edna Stavano of Carrollton and Joyce (Dennis) Bahmer of West Lafayette, sister-in-law Enda Hatt of Massillon and son-in-law Glen Best of Fredericksburg, Virginia. She was blessed with 8 grandchildren, 16 great grandchildren and 3 great great grandchildren. In addition to her husband and parents, she was preceded in death by 3 brothers: Walter (Dorothy) Hatt of Orrville, Lloyd (Henrietta) Hatt of Lethbridge Alberta, Canada, and Roy Hatt of North Lawrence; a daughter Esther Best of Fredericksburg, Virginia and 2 great grandsons.